This degree is for graduates who wish to qualify as environmental health practitioners, or to develop their understanding of environmental health. Some people taking the degree are already working in Environmental Health, but this is not a prerequisite. - Access to the Chartered Institute of Environmental Health professional exams and subsequently the environmental health profession. - Optional professional placement during the programme. - Most of the course is taught by chartered environmental health practitioners. This MSc is designed to examine those elements of our environment that affect human health. A risk-based approach runs throughout the programme and this will encourage you to develop prioritised interventions and solutions. As well as promoting a risk-based approach we also focus on developing intervention strategies within a wider public health context. You will be encouraged throughout to view environmental health as an integrated approach to health protection and improvement rather than as a series of unconnected activities. The programme is intentionally vocational and will prepare you for employment in a range of environmental health disciplines. We begin by examining some of the fundamental technical, legal and social issues that underlie environmental health practice. In parallel we look at the theoretical basis of risk and risk assessment, exploring how risk is managed in different settings drawn from the field of environment health and from other disciplines. We then examine the role performed by the environmental health service within the wider public health domain, exploring how environmental health practitioners interact with other health professionals. This leads to a more detailed study of the main environmental health intervention areas which comprise: pollution and environmental protection; food safety and control; housing and health; and occupational health and safety. We then bring your technical expertise and knowledge of risk and intervention strategies together in a series of case studies which enable you to demonstrate your ability to apply environmental health solutions using a risk-based approach and taking into account the wider public health context. You will also undertake an environmental health research dissertation during the MSc programme. The work for this is mostly undertaken in the second year of the degree, but you will be invited to prepare for the dissertation module in the first year, through a full module on research methods and approaches. Material in this module on research will also contribute to your understanding of the importance of evidence-based practice. Whilst you may wish to complete the Chartered Institute of Environmental Health's portfolio of work-based learning during the two years of the MSc programme, you may instead decide to undertake the portfolio after you graduate. You may simply decide to do some of the portfolio before and some after you graduate. Any of these are fine as the CIEH portfolio of work-based learning does not form part of the King's MSc award and those who wish to undertake the CIEH portfolio of work-based learning may do so during and/or after the MSc course at King's. Specialist taught modules, practical and laboratory sessions, research dissertation. This module is designed to give students an understanding of environmental health in the UK and the agencies and personnel which provide environmental health services. It examines how environmental factors contribute to mortality and morbidity and impact on the quality of life of our citizens. It also gives students an understanding of the value of environmental health interventions. Selected topics in environmental health are examined in detail, (indicative) Housing and Health; Water Quality; Food Safety; Air Pollution and Health; Contaminated Land, Chemical Incidents; Occupational Health; Sustainability, and Transport Policy. In this course students undertake a piece of original research in an area of environmental health interest. 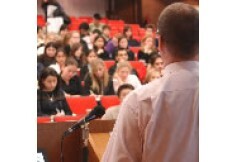 Students choose the research topic themselves, guided by academic staff. In this way a wide range of research areas are addressed using methods from both physical and social science. The research undertaken in this module is performed under supervision. This means that a member of the environmental health teaching team is appointed as supervisor for each student at an early stage, and guides the student through the research process. The student and supervisor develop and agree the research protocol together and this partnership continues throughout the research project. In this way the student takes n increasing role in the research as s/he gains experience and confidence. This module is designed to give students an understanding of the principles of environmental protection including, pollution sources, mitigating strategies and techniques, legal controls and intervention approaches. Specifically, it deals with pollution issues arising from air pollution and noise, contaminated land and solid waste, and the contamination of watercourses. It also provides the students with an understanding of a number of the statutory interventions that are available to enforcing authorities to control environmental pollution including process consents, statutory nuisance law, and emergency planning powers. This module provides students with a clear understanding of the underlying background to environmental health practice. It deals with the origins and underlying principles of environmental health practice and links these to the functions of the various organisations involved in the wider environmental health field. The course also provides some of the background material that is needed for further study in environmental health and some of the scientific knowledge that underpins environmental health work. 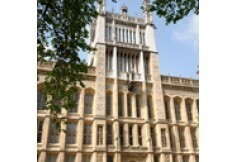 The course includes the history of public health and the public health movement, a consideration of the meaning of health, the British constitution and legal system, the broad effects of the physical and social worlds on peoples health, and the fundamental principles of nutrition, epidemiology, construction and the control of public health pests. This course develops students knowledge of housing and health by providing an understanding of the hazards that arise in residential accommodation and their diagnosis and remedy, and the law and policy relating to unsatisfactory housing conditions. The course enables students to understand how defects arise in residential buildings, how they may affect people’s health and the technical remedies that are available. It also deals with how the law applies to housing defects and how it can be used to promote appropriate changes. This course also addresses the various strategies and policies that have been adopted and implemented by central and local government and enables the students to appraise these in terms of public health impact. In this course students are encouraged to examine and develop their existing research skills. They are able to practice critically appraising the published work of other researchers, and examine a number of research approaches and methodologies. During the course, students develop a research protocol under supervision which is likely to form the basis of their dissertation later in the course. The other area upon which this course focuses is the role of research in Environmental Health, particularly in evidence-based practice. Students are encouraged to examine the ways in which research can inform risk assessments of environmental health hazards and provide evidence on the effectiveness of interventions. This module aims to develop a critical understanding of risk assessment and its uses. It examines the conceptual approaches to the assessment of risk, the models and methodologies used in the technical assessment of risk, the uses of risk assessment in decision-making and policy and critiques current risk assessment models. It examines human health risk assessment, environmental risk assessment and site-specific risk assessment. The module aims: - To develop an understanding and knowledge of risk assessment concepts and tools, - To develop an understanding and knowledge on the uses of risk assessment in government and industry, - To develop an understanding of the application of risk assessment concepts and tools to human health, environmental and site-specific hazards, - To evaluate the ability of risk assessment tools to achieve their objectives, and - To develop understanding on the role and function of risk assessment tools in decision-making.